Radon Services Inc. continuously provides high quality installation of commercial and residential radon mitigation systems in Springfield, Decatur, Jacksonville, Litchfield, Edwardsville, Alton, and the rest of Central Illinois and Southern Illinois. Reach out to Doug and receive a speedy response! I highly recommend Doug Held and Radon Services if your home has been tested and proves to have elevated radon levels. Doug is professional, timely, and installs the mitigation system flawlessly! He has mitigated hundreds of homes for my clients with no complaints. He always makes the best decision on where the system should be installed so that it is hidden from view making the home a safe and healthy environment for the new owners! Doug should be your first call for radon mitigation! His warranty is excellent and he always follows up if there are any questions or concerns! Doug has installed systems in many, many homes for my clients, my family members and myself! He is very professional, does very neat work and makes a diligent effort to install the system in the least obtrusive area. He goes above and beyond and I highly recommend Doug and Radon Services! Radon Services is my one and only resource for radon mitigation services! I have been a real estate broker for over 22 years, and Doug is by far the best! His knowledge level, service, responsiveness, and professionalism are top notch! He does an excellent job in helping all of our clients understand and appreciate the importance of radon mitigation! He always goes above and beyond! As a busy real estate broker in the greater Springfield area, I work closely with Doug Held at Radon Services. His response time is second to none. Doug works diligently to make certain that the systems are installed in a timely manner so that our clients’ transactions close as scheduled. He provides my clients with the best and safest radon reduction systems available. These mitigation systems provide my buyers and sellers peace of mind at an affordable price. Radon Services Inc will work directly with you, the homeowner, to find what services will meet your needs. Our professional team will design and install an aesthetically pleasing and efficient working system tailored to your specific home. A valued partner that works for you and your buyer/seller to achieve outstanding results. Radon Services works directly with real estate agents to mitigate high radon levels in homes and properties before, during, and after the buying process. We provide detailed and prompt (less than two business days) proposals so there are never any surprises on where the system will be located and what materials will be used. Businesses, churches, schools, assisted-living, office buildings. We’ll work with you and your business to create a safer working environment for your employees and customers. It’s important to test and mitigate radon in commercial spaces to protect your employees and customers. Radon Services Inc will design and install custom radon mitigation systems to create a safe working environment. In order to combat a problem, you have to be an expert in it. We’ve gathered a lot of resources to explain what radon is and why it is important to mitigate the levels in your home. Radon Services Inc has been providing quality radon service to homeowners since 1992. 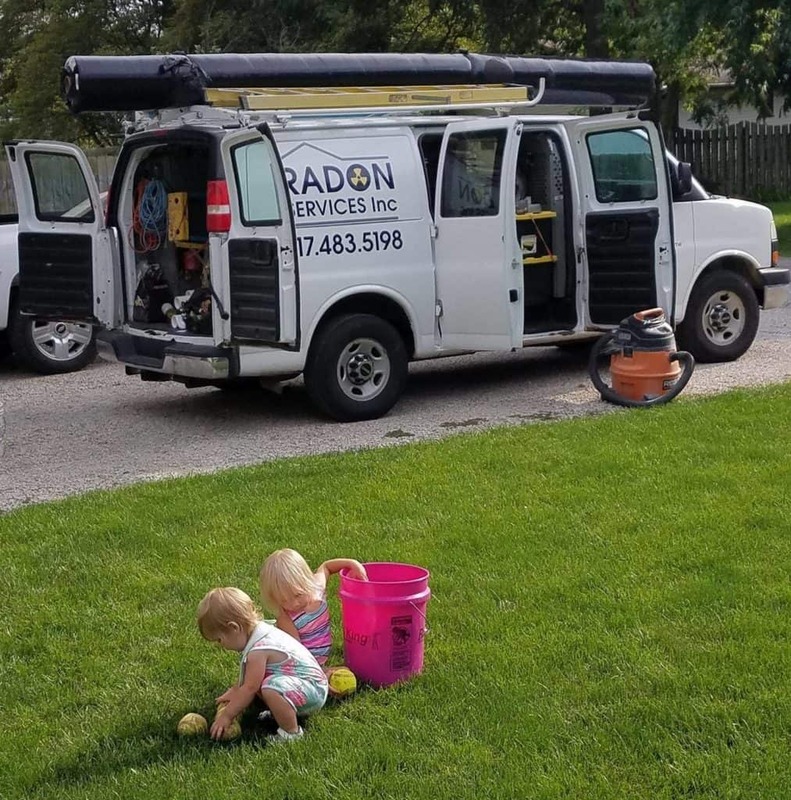 We work directly with homeowners who have identified radon as a problem, and those who are curious or worried about radon levels in and around their home. Additionally, we work with real estate agents in the area to help buyers and sellers make informed, cost-effective decisions about radon mitigation to protect themselves and others. With every breath, your family could be exposing themselves to a radioactive gas called radon. It’s impossible to see, smell or taste. And it could be accumulating to unsafe levels in your home right now. Radon is found at high levels in every state in America. Radon seeps into your home from the surrounding soil and is the second leading cause of lung cancer in the U.S. – only cigarette smoking causes more lung cancer deaths. In fact, the Environmental Protection Agency and the Surgeon General have strongly recommended that all residences be tested for radon. Your family’s risk of developing lung cancer from radon depends on the average annual level of radon in your home and the amount of time you spend there. The longer your exposure to radon, the higher the risk. And the risk is even higher for smokers. Luckily, radon is easy and inexpensive to detect. And homes with high levels can be fixed. But it’s up to you to find out whether radon is a problem in your home. The only way to know whether radon exists in elevated levels in your home, and to protect your family from radon, is to test! For over 20 years, Radon Services, Inc. has built a strong reputation based on our high-quality radon mitigation system installations. Radon Services Inc is owned and operated by Doug Held. Doug, who lives in Girard, Illinois, is married and has three daughters. He understands the importance of keeping your family safe and puts the same amount of passion into making your home safe as he would put into his own. We pride ourselves on customer service and delivering the desired results on every single install. By doing so we consider ourselves a leader in radon reduction throughout Illinois. Unsure if we will service your city? Request a free estimate above and we'll let you know! AARST – American Association of Radon Scientists and Technologists, Inc. Copyright Radon Services Inc. Website hand-crafted by Complete Computer Solutions. More Here.